Palatine Welding recently helped a Science Lab put together a Mobile Lab steel cabinet that will ship all over the world to show off a new technology. location near Salt Lake City, Nevada. We are very appreciative of our customer in this industry. 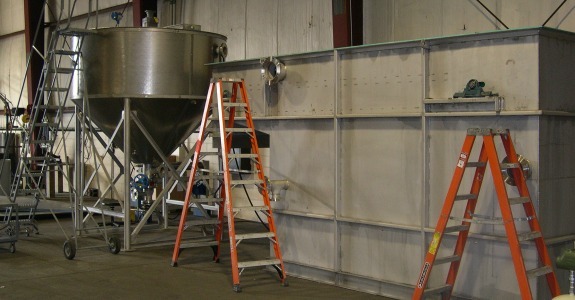 Industrial Project as well as other industrial projects. These are S304 Stainless Steel Tanks with mixing and agitating assemblies inside. 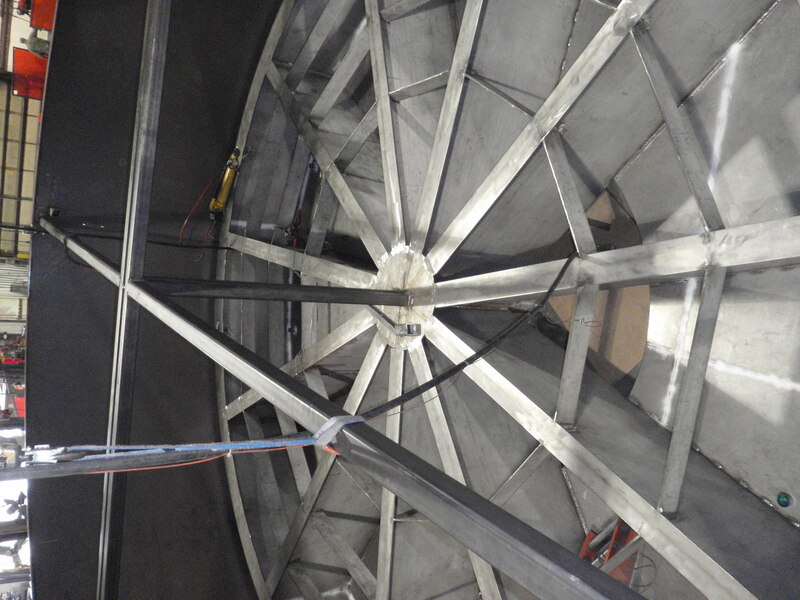 The Round Hopper Bottom Tank exterior is Insulated and Cladded. 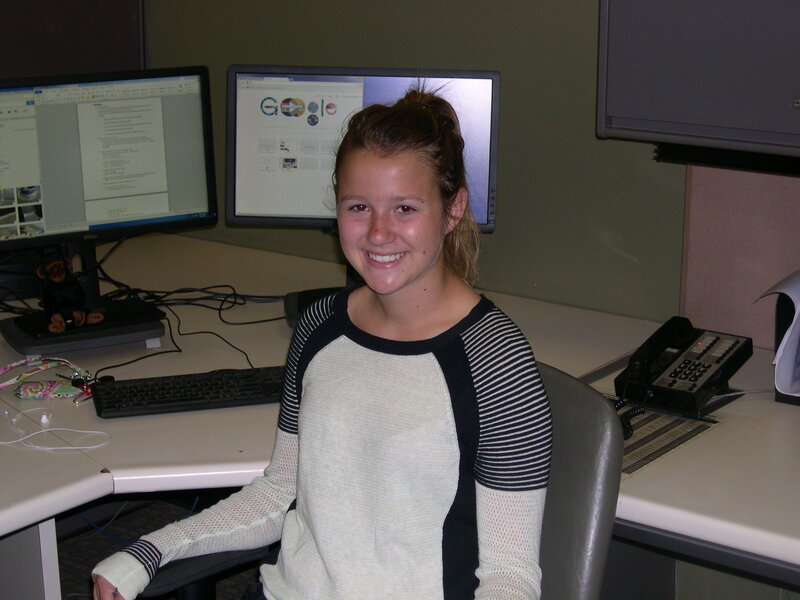 Meet the Next Generation, helping out in the family business while on school break. Tori is also swinging in from time to time to lend a hand, just as her Mom “Jennifer” had done back then also. 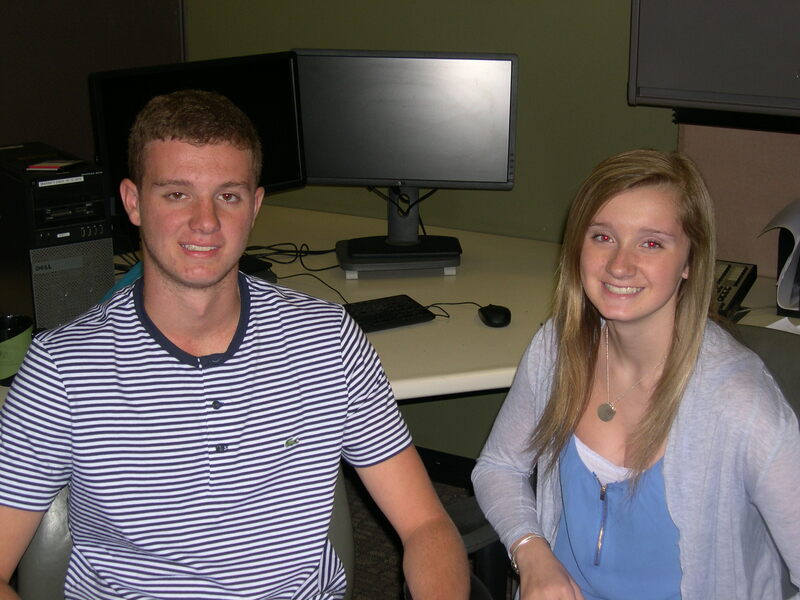 They are a great help and we’re happy to have them coming around to lend a hand. We are just wrapping up a large Thermal Pollution Control System Weldment for a World wide Engineering Co. specializing in such systems. These projects are large Cylindrical Weldments with Carbon Steel Exteriors, and High Heat Alloy Stainless Steel interiors. All Chambers must be Leak Tight Construction and Thermal Insulated. 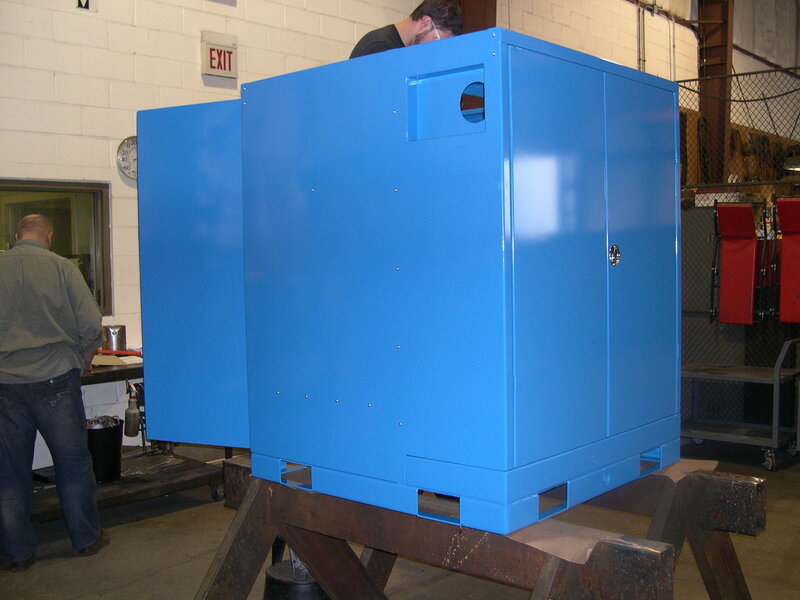 If you are in need of Systems Weldments, Large or Small, in stainless steels, carbon steels, or aluminums, you should be talking with us about what we can do for you to manufacture these systems to your specific needs. We built this Structural Steel for an Oil Processor about 2 years ago. It has served it’s purpose, and the Metal Munchers are doing there job. Not to worry, it’s completely recyclable. Hopefully we will be building another one soon. The oldest human evidence of steel is an iron utensil, believed to be a knife, found in an archeological sight in Turkey. That utensil dates back 4000 years. In the 4th century BC, steel in the form of Protective Clothing and Weapons started showing up predominantly on the Liberian Peninsula, and in ancient Rome. In these ancient times it was very difficult and thus very expensive to produce items from steel. It was only done when there was no other material that would serve the purpose as well. That purpose would have been the manufacture of Knives, Axes, Swords, Helmets, Etc. In Modern times the Manufacture of steel has been achieved much more efficiently then possible in those ancient times, with the advent of Blast Furnaces for melting the Iron ores used in steel production. So much of the things that mankind has achieved, and the way we live our lives today would not be possible without these abilities to process steel from Iron Ore.
About 95% of Steel produced today is produced from Iron Ore. The supply of Iron Ore in the world is not inexhaustible however. At the rate of consumption it is estimated that we could run out of this mineral in approximately 65 years. 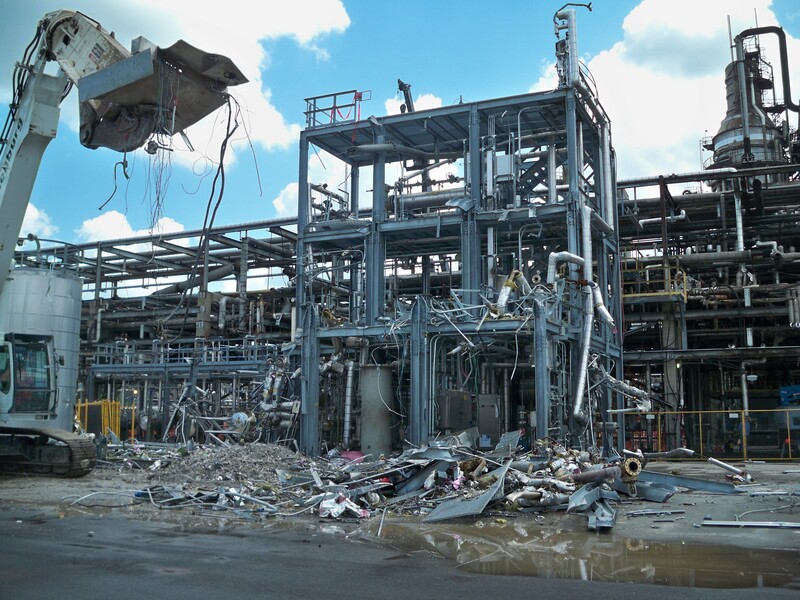 The good part of this story is that Steel is completely recyclable. In fact it’s probably the most recyclable material in the world. You cannot burn it and vaporize it, as is the case with Petroleum based products or wood products. Steel will simply melt or rust. If it melts, it will cool and it’s still steel. If it rusts, it is then just degrading in time and in nature back to the mineral that it originally was. It is this property of being solid in ambient temperature, and molten or liquid when heated that has made this material so valuable to us. In it’s liquid form, it can be poured into molds to create shapes for required usages. This process would be called Casting or molding. Cast iron is still widely used in industry. In it’s softened by heat form it can be hammered, or pressed into shapes as required. This would be called forging, or drawing. Steels will also hold up well to Cold Forming, Rolling, Pressing, and Stretching to achieve the desired shapes. The earliest type of welding would have been to take 2 pieces of different shaped metal, heat them in the area that you would want them joined and them hammer them into each other, thus joining them by pounding the softened metals into each other. 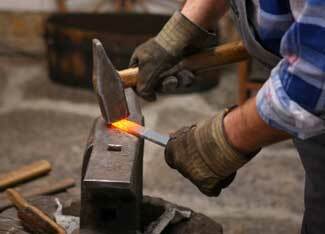 The Blacksmithing trade utilized this process. Today the Welding process is simply the heating of the steels in the area that is being joined to a molten state. The joining of the materials can be accomplished without adding any other materials to the base materials by allowing the base materials to combine with each other in the weld joint, and then cool to 1 solid form. Very often though additional material is added in the welding process to fill the weld joint and add even further strength between the base materials. A new process of working with Steel and being talked about quite frequently these days is 3D printing of steel parts. This process would involve the heating of the steel to a molten state, and spraying the materials in layers to create a three dimensional shape. As the materials cool from their molten state they become a single solid piece in whatever shape that the engineer could have imagined. However we discover new ways to process it, steel is and will be a valuable asset now and well in to the future in building our societies, and accomplishing greater things going forward. 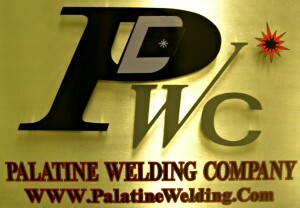 Palatine Welding is proud to be just a small part of being involved in the process. We take great pride in the projects that we accomplished in our 40 years of existence, and are looking forward to the opportunities of the next 40 years. 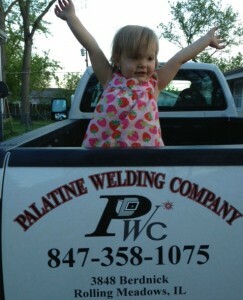 Liv Likes Palatine Welding Company !!! We have our booth up at the Job Shop Show in Schaumburg. Come see us 5/7/13, and 5/8/13. Lee Jurka and Carl Piacenza will be present to answer any questions you may have about the services we offer. For the most part, Metal Plate, and Sheet is measure with Fractional or Metric Decimal Dimensions. The Larger the Decimal number, the thicker the metal is that it represents. That’s easy! But woops! Somebody, sometime ago came up with the guage system for measuring the thickness of metals. This system of measuring the thickness of metals is the opposite of normal dimensional measuring of the thickness. This systems numbering system goes up in value as the actual thickness gets smaller, or thinner. 18 ga. is thinner than 10 ga.
Take a spin around the internet on that question, and it’s soon apparent that it’s even more confusing the more you look into it. One suggestion is that it has something to do with the Weight of a Cube Ft. of a given material. That may be true, but it’s a mathematic mess to figure it out. One other suggestion is that it has something to do with the diameter of Wire, and how many times it needs to be drawn thru dies (Squeezed, that is) to get it to the size that it is. Ie. 16ga. = 16x thru the drawing dies to get it to be .0598″ thick. Since that process was derived from the 1800s, this just is not the case any longer. One place even suggested that the Guage # was based on the amount the material weighs as a round bar, or wire diameter in feet. That is if the material is 16 ft. long, and weighs 1 lb. that is 16ga. material. If the material is 10 ft. long, and weighs 1 lb. then it is 10ga. material. That’s Milarky. Since Warehouses, and Mills still list Sheet Metal Materials in Guage numbers, and still sell it that way, the best way to figure out how thick the material you are refering to is to look it up in a chart. Check out the handy chart provided below. 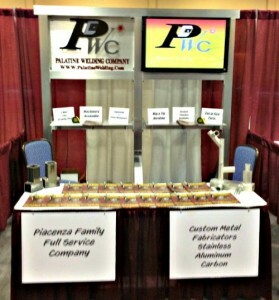 Palatine Welding will have a booth at the Design to parts show in Schaumburg, IL. on May 7th, and 8th, 2013. Look for our sign at the show. We’ll be happy to see you there.